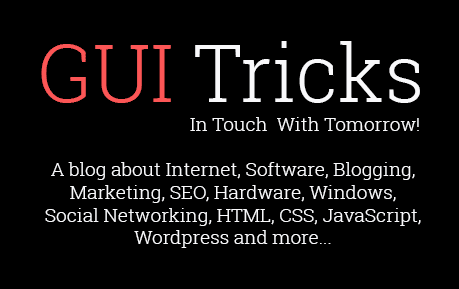 Guest Blogging - Your Ticket To A Wider And Relevant Audience | GUI Tricks - In Touch With Tomorrow! Guest Blogging - Your Ticket To A Wider And Relevant Audience - GUI Tricks - In Touch With Tomorrow! Guest blogging is a serious affair – a very important part of any long-term and serious digital marketing strategy. 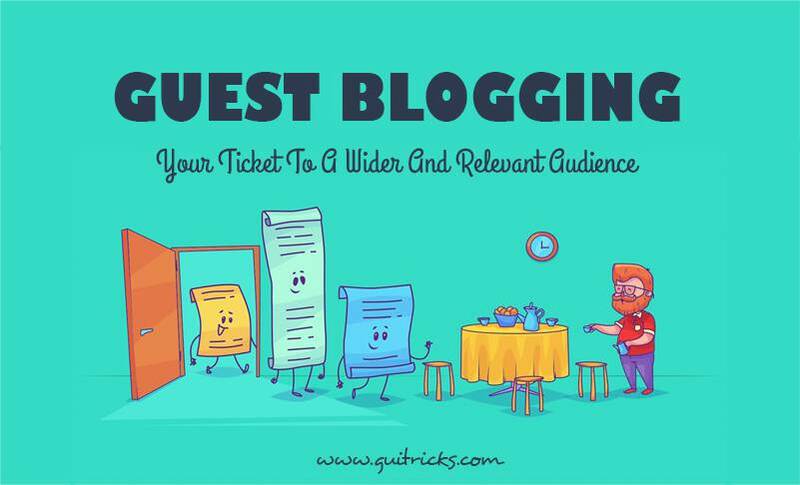 Smaller brands or individual experts trying to gain a foothold in their industry are utilizing the opportunities of guest blogging to increase their presence. Nowadays, it is not difficult to guest blog. All you need is a good theme and quality original content and you can connect with your industry peers. You can also avail of guest posting services like this one from SEOJet to start your blog campaign. Here are some of the major benefits of guest blogging. One of the main benefits of having a guest blogging strategy is that it brings your brand closer to a significantly established target audience. By contributing on other websites, you create awareness of your brand and in the long run, this is very precious. When you invest your time and research on a guest blog, it shows up on platforms where readers can connect with your industry and language. Apart from the visibility benefit mentioned above, this high-quality traffic can be directed into your domain. High-quality traffic leads to higher conversion probabilities and increases the ranking of your page on search engine. Quality traffic and increased site visits will give your site some positive attention from the search engine crawlers and algorithms. Higher page views and clicks have a cumulative effect and your guest blog can be a top page result helping establish your brand as an authority in its segment. The more you feature on trusted platforms and industry websites, the more credibility you will receive as an expert. Whether you are writing as an individual or on behalf of your company, such brand building comes with its long-term benefits. Guest blogging also allows you to experiment with your writing styles. You can be more interactive and add real-life examples. Quality blogs offer solutions and well-researched information and are not written as sales pitches. They help you improve your own knowledge and find a style that is appealing to the reader, something that will help you gain more followers as you develop it. Guest blogging on a popular website with a feedback session allows you to see yourself (or your brand) through the eyes of the consumer. There may be some valuable insights in those comment sections that you can use in your future marketing and content strategy – even ideas for new blogs! All this happens because you are exposing yourself to an informed and wider audience, something your own domain is not able to command yet. Guest blogging allows you to link not only back to your own site but also to your relevant social media pages and handles. It is a very good way to get an increased following and helps your future social media campaigns gain more traction and eyeballs. Always make sure you are creating engaging and shareable content to take advantage of this aspect. When you get started on your blog, here are a few tips that will help you. Creating immersive, interesting content that can be shared is fundamental for any guest blog nowadays. Research into the trending keywords and themes is very important. If you are in a competitive industry, merely presenting old information and facts with twists will not do. The best blogs are those which refer to a specific issue or emotion. That initial hook is what gets a reader to go through an entire blog. The layout is very crucial when it comes to catching the attention of the reader. Use highlights and large fonts to stress on important points and concepts. Images are also amazing cues for informational reading and they keep readers engaged. Listicles are a very popular form of content that caters to the online reader. Information is presented in a crisp manner and can be retained longer. Other basic tips include good grammar, easy language (online readers have very short attention spans), and a proper structure – catchy introduction, a description in the middle and a conclusion with a prompt for feedback. If your budget allows, an original infographic is a precious addition to your guest blog. It is an attractive way to dispense information and it also establishes you or your company as an authoritative representative of the industry. Guest blogging should become a consistent part of your digital marketing because of the reasons stated above. You may not get overnight results but as your blogs increase and time passes, you will start seeing the positives.